Sometimes as actors, you might only have a short amount of time in between auditions, family, classes, day job, rehearsal, and tonight’s play to do certain tasks in your career. Yet the business side of your business still needs to keep moving forward, even when you are limited on time, right? Well today’s coaching includes little bite-sized “actor actions” that you can do to help move your career forward … even when you are super busy or only have a quick break. The idea here is that you actually set a timer, do the work, and then move on to something else. If you feel at the end of 5 minutes that you want an additional 5 minutes to continue on the same action … set your timer again. The point being that you can get things done quickly when you are aware that you only have 5 minutes to do it. Because we all know that when we are talking about something like social media, or anything on the computer for that matter, you can easily get sucked down the rabbit hole and waste hours and hours and have nothing to show for it. So these activities are as much about getting into the habit of taking quick action on a regular basis as they are about managing limited time. 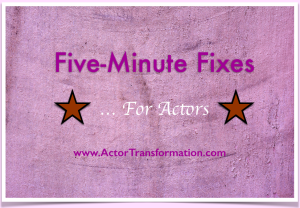 Here a few quickie “5 minute Actor Actions” you can take to move your career forward. Brainstorm on all of the actions you can take for your career. Post, retweet, like, or share something positive on social media. Write a list of 5-10 things you are grateful for. Take a breather! Meditate or just do 5 minutes of deep breathing. Add a new picture to your IMDb photo gallery. Take a quick walk to clear your brain and change your physiology. Call or email an industry friend to congratulate them on a resent success. Chill. Drink a glass of water, stretch, relax. Google “How To” for something you want to learn in your career. Do your daily online submissions. But make it quick. Watch a quick motivation, meditation, or educational video on Youtube. 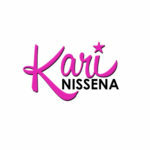 Claim your name on a social media account or website that is new to you. Rehearse or run lines for a new scene or monologue. Update one of your online profiles. Knock off something on your “to do” list. These are just a handful of ideas to get you started. The point being that you can still get a lot done for your acting career…even when you are super busy or only have small windows of free time. Use the ones you connect with…Pass on the ones that don’t click with you. And for your first 5 minute task … brainstorm your own list of 5 minute fixes!